The middle stretch of the Provo River runs from the Jordanelle Reservoir flowing ten miles through the majestic Heber Valley and into Deer Creek Reservoir. The Middle Provo River is considered a blue ribbon fishery and boasts over 3,000 fish per mile. With the restoration of the Middle Provo River completed over 10 years ago, it has become one of the best trout streams in the lower 48 states. 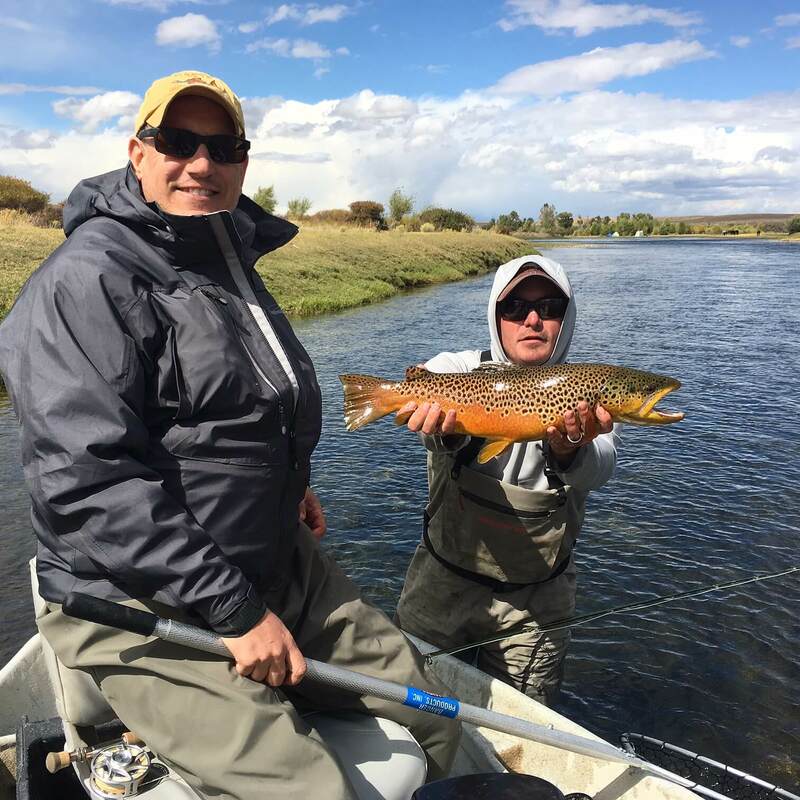 Park City Fly Fishing Company considers the Middle Provo our home water due to its short distance from Park City and the large amount of guide days we put on it. In fact, we do the majority of our walk-and-wade guide trips on the Middle Provo River. The abundance of aquatic life and the consistent river temperatures makes it a year-round fishery. Even in the dead of winter, you can expect amazing bug activity and fish feeding on the surface. What makes the Middle Provo River so unique is the accessibility; there are seven public access points in only ten miles of river. Another unique quality of the Middle Provo is the diverse types of water you can fish and access. The top end of the river is filled with big pools and long glides. The Middle stretch has a real freestone look and feel to it with tons of pocket water and fast riffles. The lower stretch is a mixed bag with flats, riffles and long runs. The variety of water the Middle Provo River has to offer can provide anglers with varying abilities and preferences an amazing experience. This Past weekend my son, Danny & I had the chance to fish the Middle Provo with Park City Fly Fishing Co. – Jeff Harwin was our guide. My expectations were high and hopeful. A little more pressure since that Saturday was Danny’s 21st birthday . The experience did not disappoint. Within the first 15 minutes we were both hitting Browns at the first pool Jeff took us to. The action was practically non-stop – My son and I lost count of the feisty trout we caught. Mostly medium in size but great fighters. Often times we doubled up – felt bad for Jeff trying to tackle both our fish at the same time. But he handled every situation like the Pro he is. We noticed other guides on the river with their guests catching little to nothing. If you think it doesn’t make a difference which guide you choose – Think again. We moved to a second pool to close things out. Same result – my spot was more productive so to be fair Jeff had my son and I swap. Danny’s first cast produced the largest & toughest trout of the day. Jeff suggested we end on that “high note” which was the biggest understatement of our trip. Was an exceptional experience made possible by a true Provo River expert – Thanks so much, Jeff!